Dating sites and apps have been popular decades ago and are still increasing their popularity through the different ways that they do to catch the attention of all the single individuals out there. Unfortunately, the number of sites that people can join in to are decreasing in number because the majority of them needs to be upgraded for members to be able to sue all of its features. 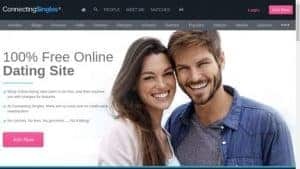 This may be the reason why people are looking for sites like POF or Plenty Of Fish because, besides its massive database, they are also offering their services for free. If you are one of the many who are wondering on what other sites to choose from, then this list of the best free dating sites like POF will surely help. Before anything else, let me give you an idea what POF or Plenty Of Fish is by reading the information that I will be providing just for you below. Plenty Of Fish is an online dating site which was established in the year 2003. It is still very much popular today, wherein according to them, they have more than 90 million registered users all over the world. 3.6 million people are active users who log in on a daily basis, and per day, there are more than 10 million conversations. Also, according to Plenty Of Fish, they create a million relationships annually. Plenty Of Fish is a combination of matchmaker service and dating site. You can freely browse and search for other members that will match your preferences. You can also use the site’s Ultra-Match feature, wherein it will give you the top 50 members who are most compatible for you. The site also has a Top Prospects feature which will rank the members that you have chatted with for you to be able to pick up a match. Another good thing about Plenty Of Fish is that 80% of their members are more active on their app. The reason behind this is because it is straightforward to use and they can interact with the other members no matter where they are. The only downside of using the app is that you won’t be able to hide the profile or even deactivate your account. You will still need to use the desktop version to these things. So now that you have a clear idea on what POF or Plenty Of Fish is, it would be best to know the things that you need to be aware of when it comes to online dating. The reason behind this is because some people think that online dating is all fun, but the truth is, it isn’t. I will be sharing with you below some of the harsh realities of online dating. Majority of the online dating sites today love boasting about their millions of members today. But unfortunately, the statistics about their members are not that accurate. Yes, there may be a lot of members who have signed up, but there are no longer that active. Some have abandoned the site entirely, which makes their profile inactive. In fact, there are some sites wherein 9 out of 10 profiles are already inactive. The reason behind this is because these are non-paying members or ones who are no longer around. Another thing that is rampant online is scammers. According to a study made, there are a total of 230,000 people who get victimized by a scammer annually. This means that the damage can climb as high as $60 billion every year. There are women who get scammed by men who are good with their words and in luring women to send them money just because they are having problems back home. Of course, men also get victimized by scammers who are women or at least pretend to be one. Fortunately, some of the dating websites are taking extra precaution when accepting members. Some are asking for verification through IDs and as well as emails. These verification processes can help in eliminating people who are only joining dating sites to scam people. Since online dating means checking several profiles and choosing one that catches your attention, this means that you will have an unlimited option. This can cause a person not to get satisfied because you will only want more. Or you won’t be able to choose at all, which in turn won’t help you settle down in the long run. According to a study, 32% of online dating users that they are having a hard time settling down because they couldn’t decide on which one to date. Chatting has been part of everyone’s life ever since the internet was born. And online dating sites are using chats as a way of communication. According to a study, people who tend to chat online for more than two weeks before actually meeting up can cause disappointment. The reason behind this is because some people tend to use information that they don’t have but actually want to possess. So if you are going to use an online dating site then meeting up as soon as both of you are free would be best. As mentioned above, there are a lot of scammers online, and we would like to make online dating a happy and safe place for you. With all of the stresses in life, we don’t want to add stress with your online dating experience by ensuring that you will know how to spot a scammer and how you can just stop getting victimized by one. We created online dating reviews to help you as to which online dating sites to avoid and which ones to sign up to. We made sure to give you nothing but accurate information, for your online dating experience to be fun and safe. Now that you are ready to be a part of the online dating scene, it would be best to give you a list of the top 10 best free dating sites like POF that you can choose from. One of the sites that are similar to POF is OkCupid. OkCupid boasts a total of 8 million members as of this writing. It is free to join, but they are offering additional features for their premium members, or as they call them, the A-list members. One of the reasons why OkCupid is one of the best is because it has a compatibility feature. This feature will provide you with quizzes and questions for the site to know your compatibility with other members. Another good thing about OkCupid is that it will let you rate members depending on how you want to rate them. Of course, you can also get a rating, wherein the site will notify you if you get one. 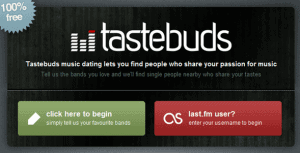 Compared to POF, TasteBuds is an online dating site that is smaller. But this online dating site caters to people who are into organists, concerts, and as well as music. As of this writing, there are a total of 200,000 members. If you are into music and you want to meet like-minded people, then TasteBuds is your way to go. Another good thing about this site is that it features music suggestions, which will offer you a chance to meet other people who are also concert goers like you. Now, if you want to connect with the other students from your college, then DateMySchool is the online dating site that is perfect for you. 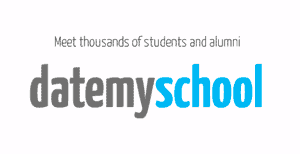 Whether you are alumni or a student, you will surely get the most out of this site. You don’t have to worry about anything because this website has alumni and students that are both well verified. DateMySchool offers a membership where it will give you more features than the free one. One of the best things about DateMySchool is that other members’ strategies for finding the students that they are looking for. You can then apply these strategies, to help yourself find that person that you are looking for. DateMySchool has 200,000 members as of this writing, which will give you a high possibility of finding that person that you are spending or have spent in college. 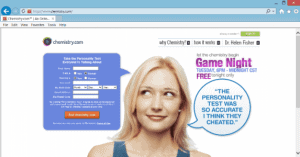 Chemistry claims that they have the formula for you to successfully find that match that you have been looking for. with their more than 11 million users. Just like OkCupid, you will be given a series of questions for the site to know who you’re compatible with. Once the assessment is that, you will be judged and be provided a match with the perfect chemistry. The result of the assessment can land you in one of the four categories, which are the explorer, negotiator, builder, and the director. Now to ensure that you will be given a perfect match, you will undergo a number of tests. Christian Mingle boasts more than 9 million users. This online dating site offers you a great chance of meeting individuals who have the same traditions, morals, and values as you. It is one of the most popular dating sites for Christians. Joining the site is free, but you can also upgrade to their premium membership for $29.99 per month. Christian Mingle is offering a profile matching to assist you in finding a matching spouse, lover, or a friend. Another great feature that Christian Mingle has is that they share dating tips, single events, bible passages, and as well as relationship advice. According to Christian Mingle, they are doing this because this is their calling and not because of business. Connecting Singles is a free online dating site, which will join singles from all over the world. Despite it being free, the site still offers a lot of services. Some of their services include participating in forums, sending email and eflowers, and even write blogs. One of the things that you can do with Connecting Singles is that you can send in e-cards to other members, watch videos, and even join polls. According to Connecting Singles, you don’t have to worry about anything because they don’t have any gimmicks, hidden charges, and as well as fees. So if you are on a budget but still want to use online dating, then Connecting Singles. 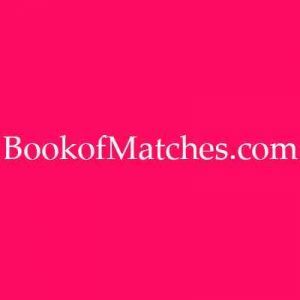 Book Of Matches will need you to complete your profile before you can do other things. You don’t have to worry because it will only take you seconds for you to achieve your profile. Once done, then you are ready to start meeting people from the site. The site will let you find anything that you want, from a chat mate, long-term relationship, hook up, or to date. Your identity will not be revealed until you’re ready, so you don’t have to worry about that. One of the best things about Book Of Matches is that you can freely use the video chat room if you want other members to see you. You can also customize your profile using a video of yourself and customize it with music and color. 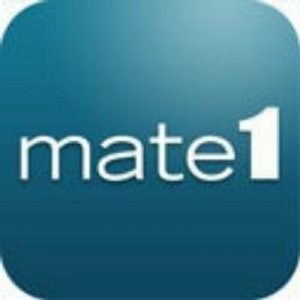 Mate1 boasts over hundreds of thousands of singles worldwide. The site is offering advanced search options, and an unlimited two way chatting. This just means that you can talk to members for no matter how long you want to. Also, you can create a photo profile of yourself with no cost at all. If someone is interested in you or if you are interested in someone, then you can quickly send a personalized voice greeting. If you want to chat with multiple people, then you may do so, as the site will let you have numerous conversations. Another good thing about Mate1 is that you can check their internal mail account, wherein you can talk to everyone that you like safely and privately. Lastly, Mate1 has tens of thousands of new single individual daily so you will surely never run out of matches. Free And Single are 100% free, though they are also offering a premium membership which has more features. This online dating site has been here for more than a decade, wherein they also have other sites like CuddlyFree and Single, BlackFree and Single, MatureFree and Single. You can pay for these sites after you have found a member that catches your attention. Also, you don’t have to upgrade right away, so you don’t have to worry about anything at all. Flirty9 is an online dating site, wherein you need to state whether you are a strain woman or man, or if you are gay. Once done, you can continue entering the site, and you don’t have to worry about fees, because Flirty9 is a hundred percent free. The reason behind this is because this online dating site promised that they would never charge their members for the features that they are offering. One of the best things about Flirty9 is that it will let you use their chat services for as long as you want. So you better start looking for that member that will catch your attention and begin chatting right away. These are the top 10 best free dating sites like POF that will surely help you find a date without burning a hole in your pocket. But before hitting that sign-up button, you surely would want to get to know some of the tips on how you can successfully find a date online. That is why I have gathered some tips below to help you out. Since this is an online dating platform, the most crucial part that it has is the profile photo. No matter how good your About Me is or your profile is if it doesn’t have a profile photo, or a good photo then forget about getting a match. The reason behind this is because one of the first things that people check is the profile photo and not the message. Also, some people tend to receive a lot of messages and what they look at first is the photo of the person who sent it. If you don’t have a good profile photo then good luck getting your message read at. Just like a CV that will help you land a good job, writing an interesting profile about yourself is also a must. It would be best to write a little something about yourself and not to give away all of the things about you. Leave a room for a little mystery for people to get curious about you. But of course, it would be best to avoid overdoing it, as this will only show that you are trying to impress someone, which is not good. When writing your own profile, you need to demonstrate vulnerability and sincerity. For instance, you can admit that you are kind of a geeky person and that you’re not afraid to get rejected because of it. For people who don’t know, showing people that you accept yourself is attractive enough. Confidence is always the key here. Now once you are done checking your profile photo and your profile itself, you need to create a message. Just like impressions, a first message is also important. To show the person that you are interested in getting to know her or him, the best thing that you can do is visit the profile. You can read whatever it is that is written there and get something that interests you. If that person is into mystery movies, then talking a little something about it in your first message would be best. Actually, it would be best to find something that you have in common with him or her, to get the person instantly interested in chatting with you. Now, once you have scheduled a first date with that person, it would be best to stay away from that online dating site. You can transfer to another messaging app, including WhatsApp, Messenger, or even Viber. Messaging through Messenger is more ideal because you will get a glimpse of how his or her life is. Of course, that person will also get to know a little bit about you using your Facebook’s profile. So make sure that your Facebook is presentable enough to impress your date. During the first date, if you are a man, then it would be best to set up the whole thing. Form the place to what to eat for dinner; you need to be able to do that. Of course, you can always ask her if she prefers eating at this restaurant or a restaurant that you haven’t tried yet. During the first date, make sure to communicate with her as if you are just chatting. The reason behind this is because some people tend to be all confident when chatting, and shy in person. This can become a problem and a turn-off. So act as if you are on your second date already. After the first date and once you bid goodbye to each other, avoid asking for a second date immediately. But make sure to let her know that you would love to see her again. You can communicate after quite some time and arrange something again. Asking for a second date right after the first would only show that you are too interested with the person. Leave something that will keep the both of you curious and excited. These are all of the tips on how you can succeed in online dating. Now that you are ready, it would be best to choose among the top 10 best free dating sites like POF, so you can start looking for the match that you have been looking for.